Any time you can take some of the stress out of an otherwise stressful situation, it’s a good thing, right? So why not make your next car or truck-buying experience more pleasant with preapproved auto financing? It’s easy to apply online. 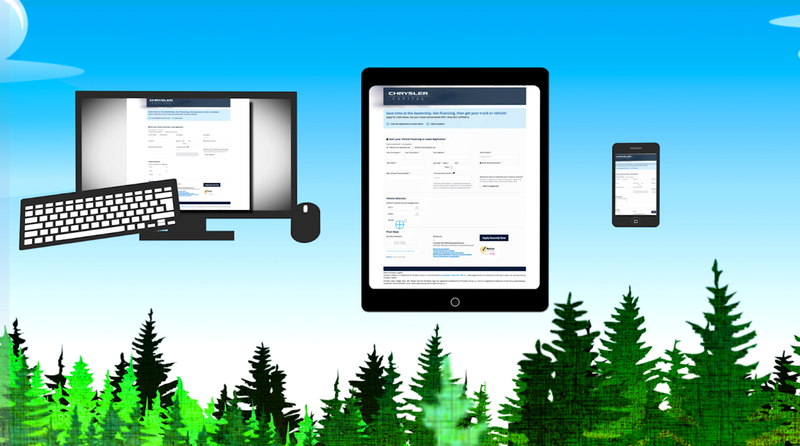 With Chrysler Capital, all you need is a computer, tablet or smartphone and you can be on your way in no time at all. The online application is quick, with only a few pieces of information to complete prior to submitting. 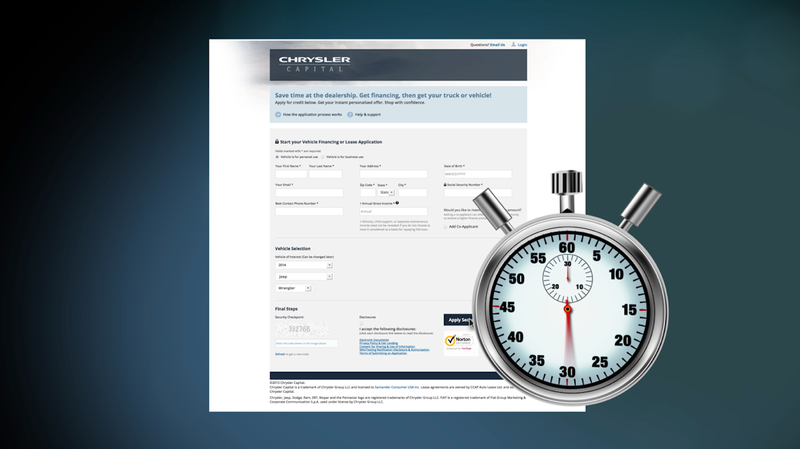 We do our best to get your decision results back to you as fast as possible so you don’t have to wait for long. Most results are received in less than 60 seconds. Because you know up front how much you can finance, a preapproval with Chrysler Capital allows you the freedom and confidence to shop for your next car or truck with ease. 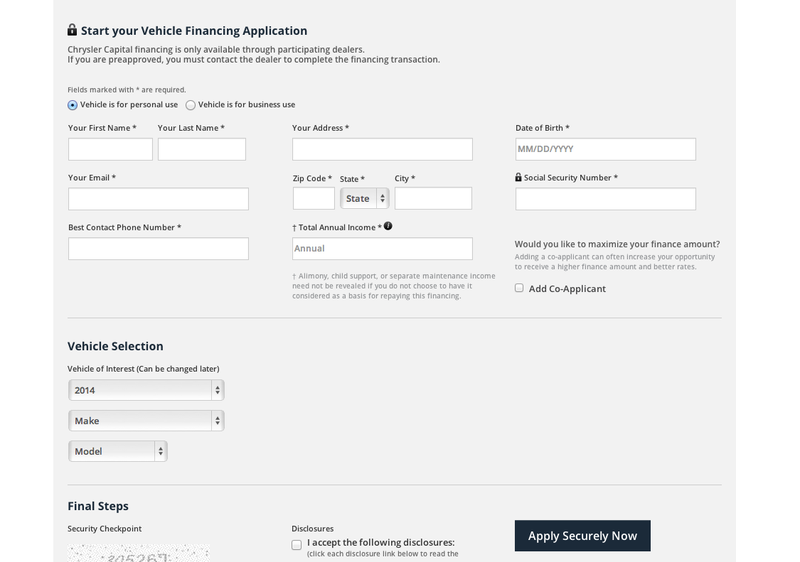 Check out our short video about our online application and if you’re in the market for new car or truck, apply online today!